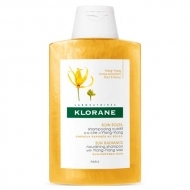 Protects capillary keratin and hair colour. 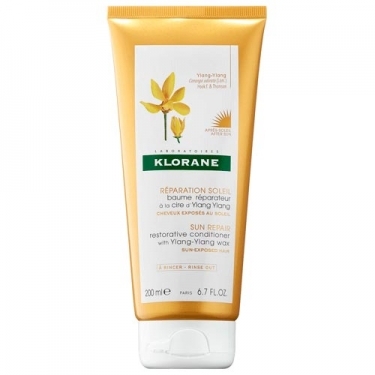 DESCRIPTION: Baume Rich Réparateur à la Cire d Ylang Ylang from Klorane is a balm enriched with nutritive agents and vegetable keratin. 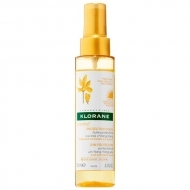 This care nourishes in depth and repairs the hair attacked by the sun, by the sea, by the sand or by the swimming pool. The hair regains softness and shine, making it easy to comb. Suitable for natural hair, painted or with locks, subject to sun exposure. Emulsify and rinse thoroughly with water.